Mushrooms play an important role in Slovakia. Mushroom picking, strolling through the woods looking for edible mushrooms, was the most popular weekend activity in my family when I was growing up. Who’s to wonder, when mushrooms are the size of babies? Of course, picking wild mushrooms is a risky business. Not all wild mushrooms are edible. Some just simply taste foul, while others, such as the green amanita, are extremely deadly. Just a small bite of this fungus, and you could be done for. Mushrooms are also popular part of our culture. 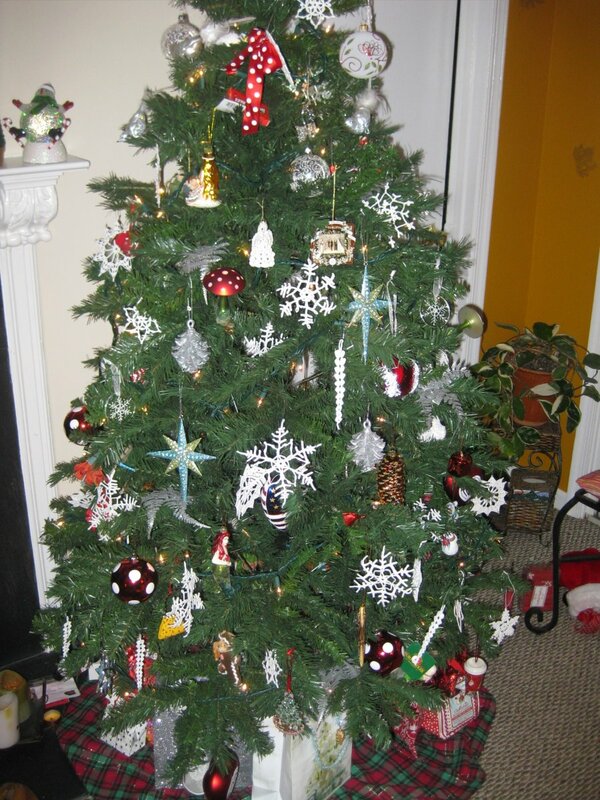 It’s not uncommon to find paintings of mushrooms decorating one’s walls, or to even find them on a Christmas tree as ornaments. The red amanita, muchotrávka červená, is often depicted, because it’s so colorful. The word muchotrávka means roughly fly poison, and amanitas are the most common and well known poisonous mushrooms in Slovakia (not all amanitas are poisonous, however). The edible mushrooms are on the other hand turned into delicious dishes. Bedľa, gilled parasol mushroom that is too often confused with a poisonous amanita, is often breaded and fried like a schnitzel. Mushrooms are also served in scrambled eggs for breakfast, and dried mushrooms go into our winter soups. 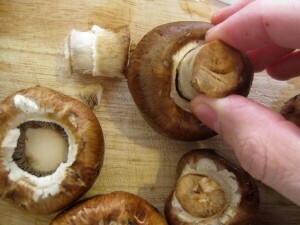 Mushrooms can also be used for snacks, and here is a recipe for a little snack my grandma Pavka makes. She usually makes it with the summer cep, called dubák or hríb dubový in Slovak, meaning oak mushroom. This mushroom is so called because it often grows near oaks. 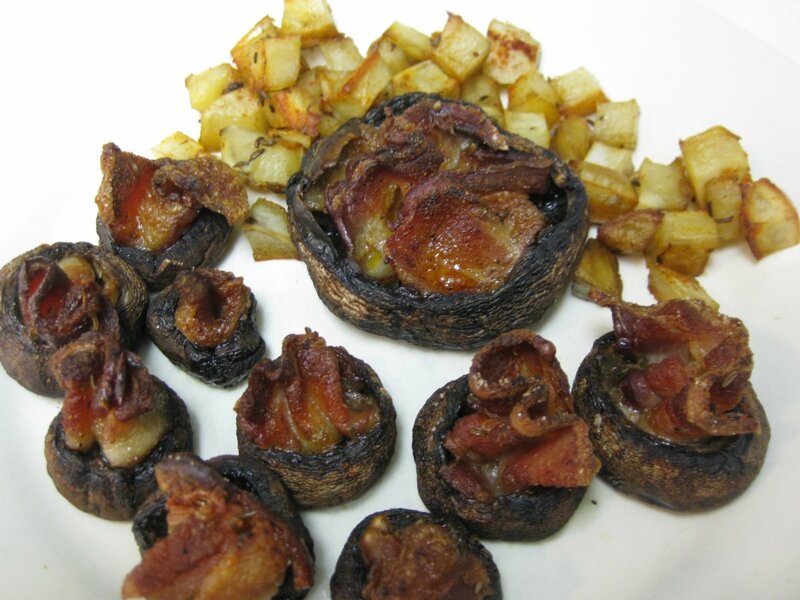 However, since my grocery store carries really only one kind of fresh mushroom, the white “button mushroom” (šampiňón) and the mature version of the same called Portobello, I made the recipe with baby bellas – the middle age version of this fungus. Start by rinsing off the mushrooms. Then carefully twist off the stems. Save these for later, you can use them for instance with scrambled eggs when making breakfast. Cut a strip of bacon in half, and fold it together accordion style. Place the bacon into the cap. Season with caraway, paprika, salt and pepper. Bake for about 30 minutes until the bacon gets crisp. 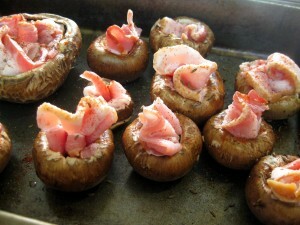 If you want to make this into more of a meal, serve the mushrooms with baked potatoes. you did not indicate at what temperature to bake.. This is the perfect combination. At least for me. The mushrooms go great with the bacon. And it’s so easy to make.